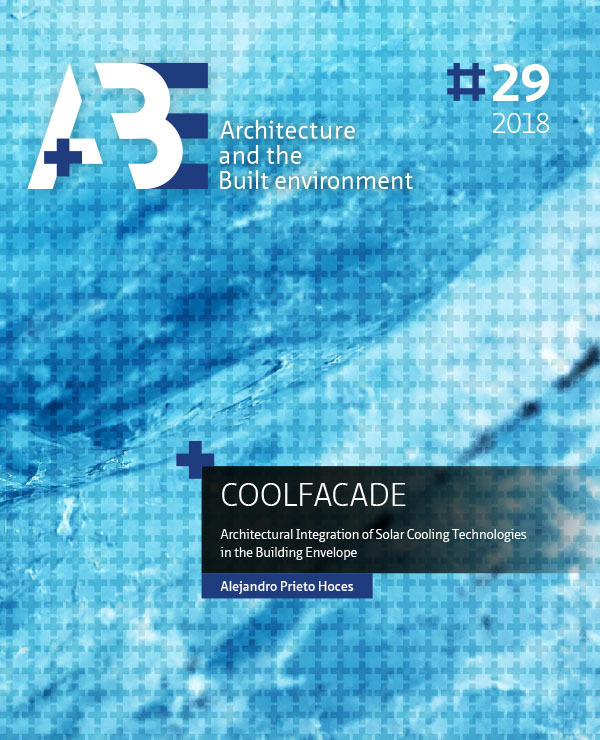 This dissertation aimed to explore the possibilities and constraints for the façade integration of solar cooling systems, in order to support the design of climate responsive architectural products for office buildings as an alternative to conventional AC systems. This final chapter summarises and discusses the main outcomes of the dissertation. Firstly, responses to the research questions are showcased, starting with the subquestions and their particular findings, leading to a comprehensive answer to the main research question driving the research project. Then, general conclusions are drafted, outlining the scientific contribution and limitations of the study to finalise with recommendations for further developments in the field. PRIETO HOCES, Alejandro Ignacio. Conclusion. A+BE | Architecture and the Built Environment, [S.l. ], n. 29, p. 251-264, dec. 2018. ISSN 2214-7233. Available at: <https://journals.open.tudelft.nl/index.php/abe/article/view/3474>. Date accessed: 24 apr. 2019. doi: https://doi.org/10.7480/abe.2018.29.3474.